Mike's notes: No more poodles! I love dogs, I really do. However I'm going to say it again - no more poodles! 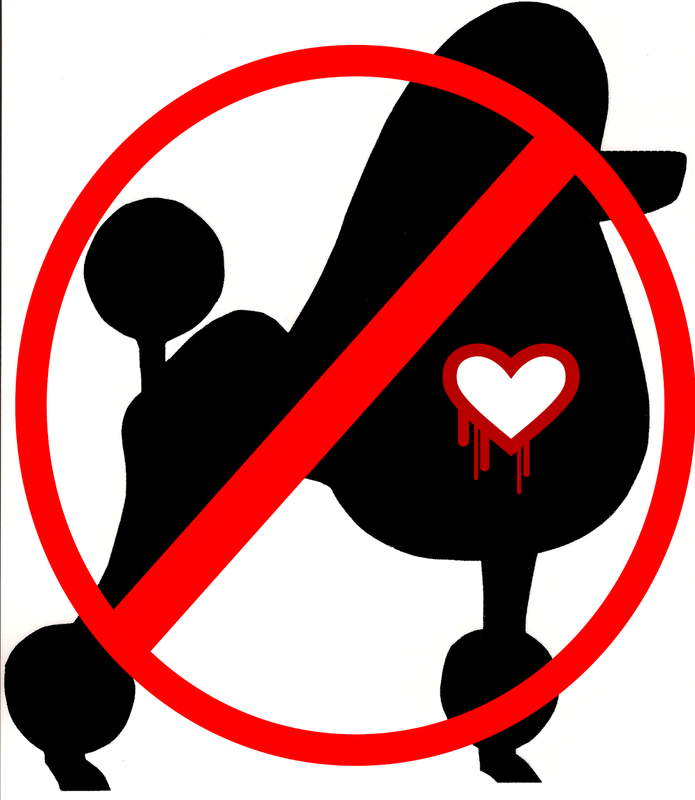 stop this heartbleading beast who bites our good old systems. This post isn't about Oracle, but it close enough to be here. Lets's discuss a quite inexpensive way to enforce the latest greatest security protocols and standards for old systems. To reproduce old system I’m going to use VirtualBox with trial RedHat AS 4.8 and Oracle XE to simulate business application on it. Operating system architecture is 32 bit and there are no upgrades updates or patches. Business application resides on the system and should be exposed to the external user with maximum protection available. 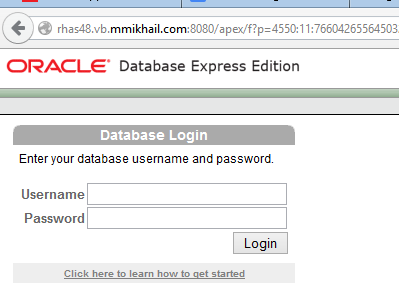 Normally it uses Oracle HTTP Server 10g and uses Oracle Wallet to accept HTTPS requests. To simplify this document I’m going to omit all certificate configuration details and will use my own CA and prepared certificates. There are plenty number posts around openssl and certificate requests. Apache server from RedHat 4.8 has version 2.0б that you have SSLv2, SSLv 3 and TLSv1.0 protocols only. Frankly speaking it may be enough for your tasks and you may skip everything down to reverse proxy configuration. 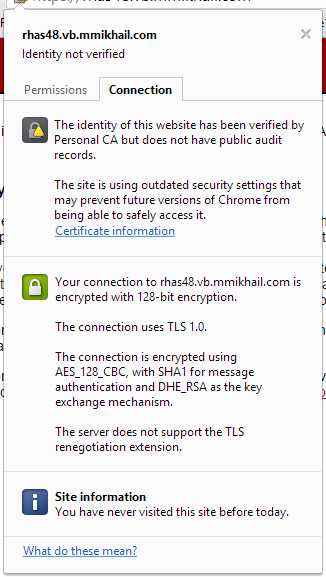 However TLSv1.0 is almost the same as SSL v3.0 and may be compromised as well. I consider no compromises and chase perfection: no weak chippers, no heartbleeds and no poodles! image into virtual DVD device. As part of overall security increase you need to upgrade existing OpenSSL installation. Apache HTTP server requires Perl Compatible Regular Expressions. ==> TYPE I ... done. ==> CWD /pub/software/programming/pcre ... done. ==> PASV ... done. ==> RETR pcre-8.36.tar.gz ... done. Download latest stable version (at this time It’s 2.4.10 so adjust document accordingly with your current version). All binaries are in place and we are ready to complete system configuration. Here is System and Apache configuration.